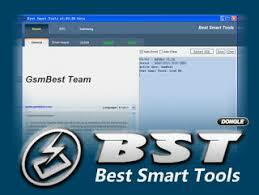 BST (best smart tool) has recently launched it's latest version 3.39.00 for the public as the named it's the best tool for a smartphone,s for flashing or unlocking or repair network, IMEI, wifi and others just one click root or enable adb or most of the brand of smartphones. click on remove FRP and you have done. Smart Flashing, Easier >Choose a Rom, Only One-key start to flashing, Flashing device become more easier. One-key HTC Gold Card>Insert TF Card into the phone, One-key generates htc gold card, w/o other sw and tools. Root/Unlock All One-key>Root/Unlock/Wipe all One-key, Supporting hundreds of models. more models coming soon. One-key Backup Userdata>One-key Backup / Restore user data (Phonebook, SMS,...). which item you need as you want! Device Driver Auto Install>Mass driver library support, auto scan device and install drivers, no need waste time to search drivers. Software Online Updating>No need download upgrade pack by manually, the software will be auto sync to the latest version. Added Xiaomi MIUI 8.X Reset Account Lock (Anti-Relock), network connection without re-lock problems, can online upgrade and flash without re-lock problem! > Optimized Xiaomi/OPPO/VIVO Qualcomm Firehose protocol support multi times connection communication, reduce switch into EDL mode when firehose protocol operation failed. * About Read Partition table from the device via Qualcomm firehose protocol function, we used local partition table file (rawprogram*.xml) before, maybe local partition table and phone internal partition table different case exist (such as: phone version/capacity is different etc), Resulting in the operation of the address deviation and ultimately affect the accuracy of the software. 2). Dail (*#558#) select "Quality verification test", Enable "Debugging port"